Over the past year or so there have been some major changes in how to get to Koh Rong and its sister island Koh Rong Samloem – From much faster ferry services from Sihanoukville to Koh Rong, to more convenient flights into Sihanoukville, to the first cross-country train, it has never been easier to get to the beautiful islands. Here’s all the latest information to help you plan and book your trip. 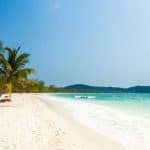 Please make sure you know where you are going – Koh Rong and Koh Rong Samloem are big islands, and there are many hotels scattered around their 30+ beaches. 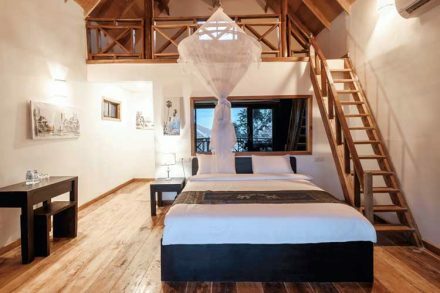 Most hotels are on the main tourist areas – Koh Touch on Koh Rong and Saracen Bay on Koh Rong Samloem. 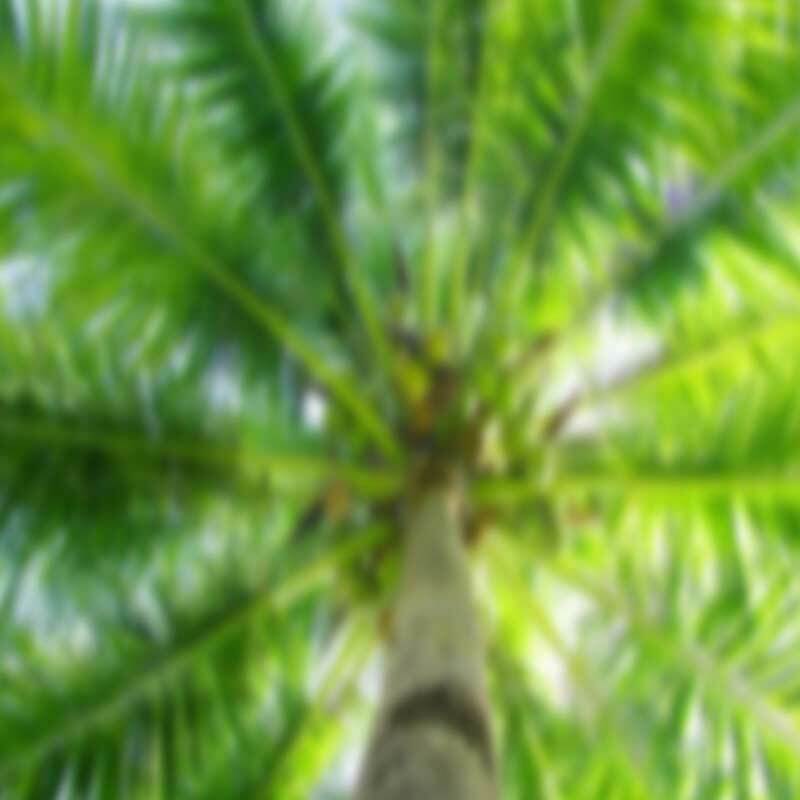 Below is all the latest information on how to get to these popular beaches, as well as how to get to other areas of the islands, including how to get to Sok San Village, Long Set Beach, Nature Beach, Coconut Beach, Palm Beach, Prek Svay, M’Pai Bay, and more (to get a better idea of where everything is, take a look at our Video Map). There are now 5 modern ferry services from Sihanoukville to Koh Rong and from Sihanoukville to Koh Rong Samloem – Speed Ferry Cambodia (SFC), Island Speed Boat Cambodia (ISBC), Buva Sea (BS), Angkor Speed Ferry (ASF), and GTVC. (There are also a couple of $5-$10 ‘Slow Boat’ services that take 1.5 – 2.5 hours – These services are not professionally run and are not recommended). All 5 services will charge roughly $25 return, though prices can vary depending on time of year, special offers, etc. All services leave from the Ochheuteal (AKA ‘Serendipity’) pier in Sihanoukville and go to the main tourist beaches on the islands (Koh Touch on Koh Rong, and Saracen Bay on Koh Rong Samloem). If your hotel is not on the main beaches (Koh Touch / Saracen Bay), please read on below. For Koh Rong the services stop at 2 piers that are very close to each other. However, for Koh Rong Samloem, SFC, ISBC, and BS stop on the left side of the bay, while ASF and GTVC on the right (it’s a 20 minute beach walk between the two, but your hotel should pick you up from either). For the return journey the 5 services will leave from the same pier that they arrived on. All services will go back to the Ochheuteal (Serendipity) pier in Sihanoukville. Speed Ferry Cambodia (SFC), Island Speed Boat Cambodia (ISBC), Buva Sea (BS), Angkor Speed Ferry (ASF), and GTVC all leave from the Ochheuteal (AKA ‘Serendipity’) pier in Sihanoukville. Please Note: All times provided are approximate – please confirm your departure times with your ferry company. We advise you to always arrive early for your chosen service. For the return journey, Speed Ferry Cambodia (SFC), Island Speed Boat Cambodia (ISBC), Buva Sea (BS), Angkor Speed Ferry (ASF), and GTVC will leave from the same pier that they arrived on. All services will go back to the Ochheuteal (Serendipity) pier in Sihanoukville. Please Note: All times provided are approximate – please confirm your departure times with your ferry company. We advise you to always arrive early for your chosen service. To get from Koh Rong to Koh Rong Samloem (or from Koh Rong Samloem to Koh Rong), you can buy a transfer ticket with any of the ferry companies above. 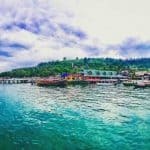 To give you an idea of price, a transfer ticket from Koh Touch (the main tourist area on Koh Rong) to Saracen Bay (the main tourist area on Koh Rong Samloem) costs roughly $6 one way. You can buy your tickets at any of the ferry ticket shops on the islands or at the Serendipity Pier in Sihanoukville. The journey will take approximately 15 minutes (try to make sure that the ticket you buy is direct or the journey may take longer). You can also hire a private long tail boat (traditional Khmer fishing boat – pictured below) to take you. 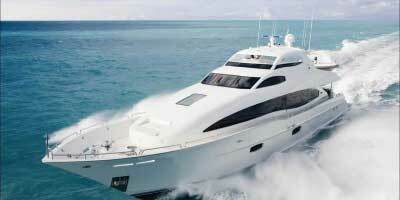 A private long tail boat will cost considerably more but can be shared among a group. 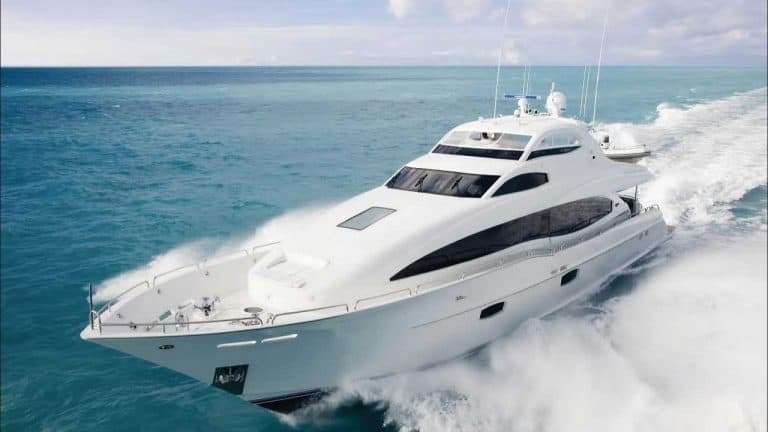 For example, the boat will cost in the region of $30 to go from Koh Touch to Saracen Bay, $20 to go from Koh Touch to M’Pai Bay, and $60 to go from Koh Touch to Lazy Beach. Please only choose this option if the weather is nice enough for the journey. As of 2019 both Island Speed Boat Cambodia (3 times per day) and Buva Sea (1 time per day) stop at Sok San Village. The journey will cost roughly $25 return and will take approximately 1 hour. (Sok San Beach Resort also runs a daily ferry service from Sihanoukville to Sok San, but their guests get priority and prices are inflated ($40) for non-guests). Sihanoukville to Sok San Village: 9am, 12pm, and 3pm. Sok San Village to Sihanoukville: 9.30am, 12.30pm, 3.30pm. Sihanoukville to Sok San Village: 1pm. Sok San Village to Sihanoukville: 2pm. Buva Sea and Speed Ferry Cambodia now go directly to Long Set Beach, Nature Beach, and Coconut Beach. Speed Ferry Cambodia also stops at Romdoul Beach. The journey will cost roughly $25 return and will take approximately 45-90 minutes. Sihanoukville to Long Set Beach / Nature Beach: 8am, 11am, 2pm, and 5pm. Long Set Beach / Nature Beach to Sihanoukville: 7am, 9.15am, 12.15pm, and 3.15pm. Sihanoukville to Long Set Beach: 7.30am, 9am, 11.30am, 1.30pm, 3pm, and 5pm. Long Set Beach to Sihanoukville: 10.00am, 12.30pm, and 4pm. Sihanoukville to Romdoul Beach, Nature Beach, and Coconut Beach: 7.30am, 1.30pm, and 5pm. Romdoul Beach, Nature Beach, and Coconut Beach to Sihanoukville: 8.15am, 10.15am, and 3.45pm. If you are staying on the northern side of the island at either Palm Beach or Prek Svay, Speed Ferry Cambodia now stops there 3 times a day. The timetable is as follows. Sihanoukville to Palm Beach / Prek Svay: 7.30am, 1.30pm, and 5pm. Palm Beach / Prek Svay to Sihanoukville: 8.00am, 10am, and 3.30pm. There are now 4 ferry companies stopping directly at M’Pai Bay – GTVC, Speed Ferry Cambodia, Island Speed Boat Cambodia, and Buva Sea. The 4 ferry companies leave from the Ochheuteal (AKA ‘Serendipity’) pier in Sihanoukville. A ticket will cost around $25 return and the journey should take 40 minutes – 1 hour depending on whether M’Pai Bay is the first stop. Sihanoukville to M’Pai Bay: 8am, 11am, 2pm, and 4pm. Sihanoukville to M’Pai Bay: 9am, 11.30am, and 3pm. Sihanoukville to M’Pai Bay: 9am and 3pm. 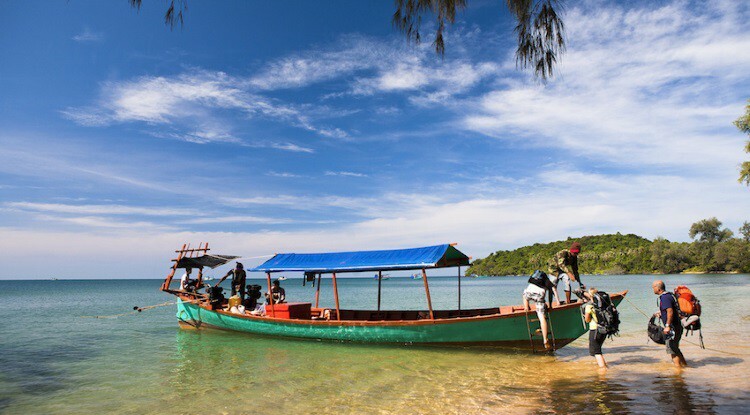 If you would like to see Koh Rong and Koh Rong Samloem but you have limited time, an organised day tour is a great option – We recommend the (appropriately named) Daily Tour Boat. The Daily Tour Boat will take you to both of the islands and will give you several hours to explore, relax, and take part in activities (e.g. snorkelling and swimming). The day tour will start at 9am (finish at 5.30pm) from the Ochheuteal (AKA Serendipity) Pier. Breakfast and Lunch are included, and the price for the Daily Tour Boat is $25 per person. 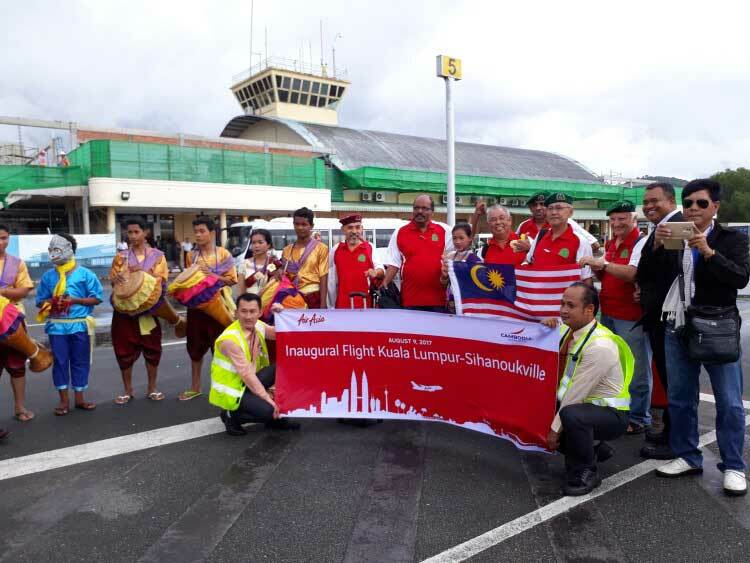 You can now fly directly into Sihanoukville from Kuala Lumpur, Ho Chi Ming City, and Macau – The first international flights to the airport. 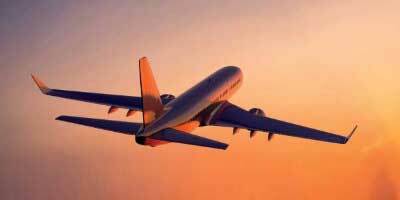 The timing of the flights isn’t always that convenient, but we predict that the airport will open for further international flights in the near future. In particular, AirAsia, which provides the flights between Kuala Lumpur, Macau, and Sihanoukville, plans to open a subsidiary company in Cambodia, suggesting that they are looking to expand their services very soon. Read the full articles here and here. If you are already in Cambodia, you can fly directly from Siem Reap to Sihanoukville and from Phnom Penh to Sihanoukville. The flights to Sihanoukville from Siem Reap are quite regular (and this is the most common way to get from Siem Reap to Koh Rong). However, the flights to Sihanoukville from Phnom Penh can be inconvenient, and so other forms of transport (e.g. taxis, buses, and trains) are sometimes preferred. (See: How to Get From Phnom Penh to Sihanoukville). To get from Sihanoukville airport to Koh Rong, you can take a shuttle bus (around $4) that should be waiting outside the airport when you arrive. The shuttle bus will take you into the centre of Sihanoukville, from which it is very easy to find the pier (just ask a passing Tuk Tuk to take you). If for whatever reason you miss the shuttle bus, you should be able to find a Tuk Tuk (roughly $20) at the airport. You can also hire a private taxi to take you – this will be more expensive at around $30. The journey should take approximately 30-40 minutes in total, depending on your mode of transport and the traffic on the day. 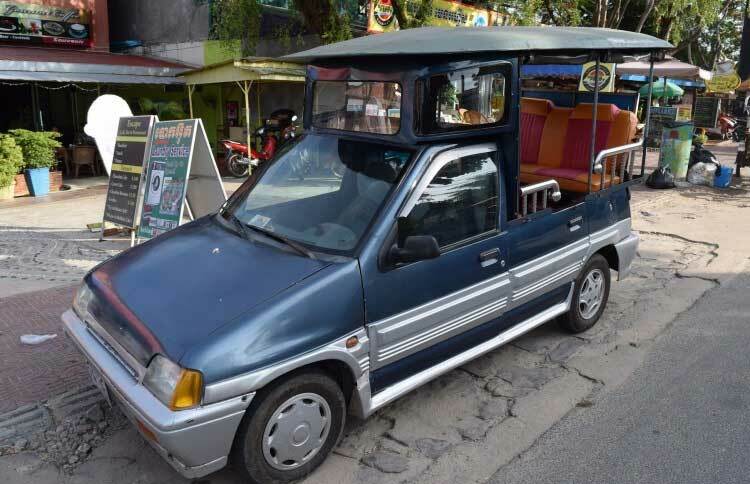 Although prices vary depending on the length of the journey, to give you a rough idea a private taxi from Phnom Penh to Sihanoukville will cost in the region of $60 and take 4 hours (2 hours faster than a bus). The better services offer nice comfortable cars (e.g. 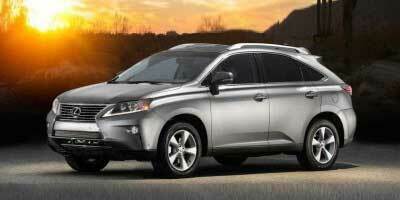 a Lexus 4 x 4) and the drivers will pick you up from your hotel, the airport, or any other location convenient for you. One thing that we recommend however is to book your taxi in advance. Not only is it cheaper, but Cambodian traffic can be hectic, so the taxi rides can be daunting and frightening if you don’t know your driver – please contact us to book a safe, reliable taxi driver from anywhere in Cambodia, or click below and book online now. There are many bus companies offering economy and VIP buses to Sihanoukville (this is the most common way to get from Phnom Penh to Koh Rong). An economy bus ranges from $4-$6 on average and sits roughly 50 people. VIP buses are smaller and more comfortable, sitting around 15 people. They are a bit more expensive at $8-$10 one way. 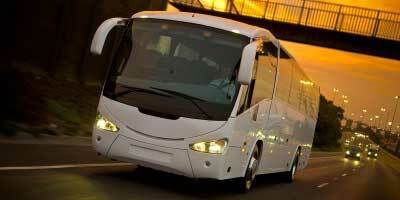 VIP buses tend to be quicker and the journeys more convenient (e.g. you can ask the driver to stop if you desperately need to go to the toilet). To learn more about buses, read: Phnom Penh to Sihanoukville. The train currently operates only on Fridays, Saturdays, Sundays, and Mondays and costs about $7 one-way. The carriages are quite comfortable and come with AC, plug sockets, and TVs (mainly playing Charlie Chaplin re-runs). The atmosphere is very cheerful and joyous, and because the train stops off several times along the way (including once in Kampot), the journey is broken up nicely. Phnom Penh to Sihanoukville: Friday 3pm, Saturday 7am, Sunday 7am, and Sunday 4pm. Sihanoukville to Phnom Penh: Saturday 7am, Sunday 7am, Sunday 4pm, Monday 7am. Don’t be too surprised if it’s delayed by 30 minutes – 1 hour however. If you’re thinking of giving the train a go, we recommend you buy your ticket in advance – Each ticket comes with its own seat number and acts as a reservation. Q: What is the best way to get from Sihanoukville to Koh Rong? Q: How long is the ferry from Sihanoukville to Koh Rong? Q: How do I get from Phnom Penh to Koh Rong? Q: How do I get from Siem Reap to Koh Rong? Q: I have a return ticket to Koh Rong. Can I use this to come back from Koh Rong Samloem? Q: Is there a private ferry service from Sihanoukville to Koh Rong? Q: Is it possible to take a ferry to Koh Rong after dark? Q: Can I hire a private long tail boat after dark? Q: How badly are ferry boats affected by rainy weather conditions? A: Koh Rong is the second largest island of Cambodia, having an area of approximately 78 km². 43km of the island’s 61km coastline are beaches (there are over 23 individual beaches that vary in length and colour, some of which have now been developed for tourism – Read our Beach Guide to learn more). A: The best way to get from Sihanoukville to Koh Rong is via one of the 5 modern ferry companies: Speed Ferry Cambodia, Island Speed Boat Cambodia, Buva Sea, Angkor Speed Ferry, and GTVC. (There are also a couple of $5-$10 ‘Slow Boat’ services that take 1.5 – 2.5 hours – These services are not professionally run and are not recommended). A: If your destination is the first stop, it will take about 40 minutes to get from Sihanoukville to Koh Rong. If your ferry stops somewhere else first, it may take 1 hour or so. A: For all the latest information on how to get from Phnom Penh to Koh Rong, please read: Phnom Penh to Koh Rong. A: For all the latest information on how to get from Siem Reap to Koh Rong, please read: Siem Reap to Koh Rong. A: Yes, this is usually OK to do, but please ask your ferry company before you set off to confirm. A: No, there is currently no private ferry service that will take you directly from Sihanoukville to Koh Rong. A: No, for safety reasons no ferry company currently travels to Koh Rong after dark (i.e. after about 5pm). A: For safety reasons, we do not advise you to hire a private long tail boat after dark for getting around the islands. If you would like to see the plankton, please book a plankton tour or speak to an experienced guide. A: This really depends on the weather on the day, but even in rainy season the rain can stop for several hours at a time, during which some ferry companies will continue service. 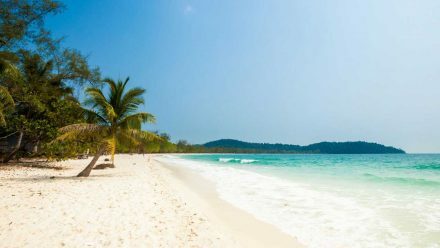 A: Koh Rong Samloem is located about 25km (16mi) off the coast of Sihanoukville and 4km (2mi) south of Koh Rong Island. helo where is ferry pier? Hi. Thanks for a wonderful guide. I would like to ask you how long does it take to get from Siahnousville airport to the pier in a private taxi. My plane lands 15.00h and I am not sure if I will get in time for the 16.30h ferry to Koh Rong.thanks! Hi Cristina, it will depend on traffic, but usually it takes about 30 minutes from the airport to the pier. If you have 1 hour you should be fine! We have return ferry ticket to koh rong samloem included in our coach fare but we are spending the second part of our time in koh rong. Will the return ticket be valid from either island or will we have to buy another? Cheers. Hello, if you speak to the ferry company staff it should be OK.
Hello! We will be travelling from Sihanoukville to Koh Rong island for 3 days, then onto Sanloem Island for 2 days, then back to Sihanoukville. Is there a ferry ticket type available for this type of round trip? Thanks! Hello! Is any company that provide private boat (not that companies with fixed hours) for Koh Rong or Koh Rong Samloem from Sihanoukville? Tôi muốn hỏi tàu cao tốc từ Koh Rong về Sihanoukville có chuyến nào khởi hành trước 10 a.m không ạ? Tengo un vuelo que llega a las 19:35 el día 31/12 pero veo que los ferrys a Koh Rong no salen a partir se las 17:00. Sabéis si hay forma de llegar a la isla con un bote privado a partir de las 20:00 por ejemplo? Hi Carlos, no you cannot get to the islands late at night – no boats will take you when it gets dark! Hi, we’ve planed to come to koh rong tomorrow. Our flight have been delayed and it will lend at 5pm. We won’t be able to catch the last ferry. 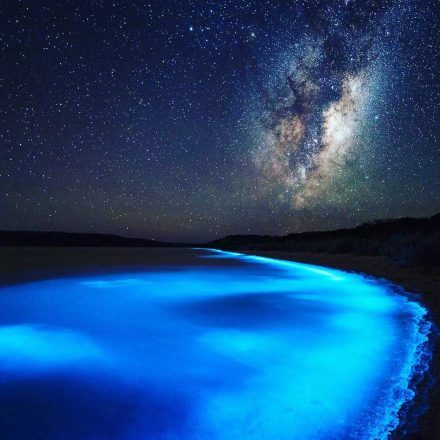 Do you know if it’s possible to reach koh rong from sihanouckville by night? With a special company or private boat? Thanks a lot for your answer. Je souhiate me rendre à Sihanoukville en voiture. Y a-t-il des endroits sûrs pour laisser un véhicule 3 jours le temps d’aller à Koh Rong ? Y a-t-il un parking à l’embarcadère ? Hello. No, unfortunately there is no parking at the pier. The best option would be to leave your car in a hotel car park and ask them to take care of it for you (for a small fee). There are several large hotels next to the pier that could help you. We land at Sihanoukville airport at 12.40 am in mid December. What is the best way to get from Sihanoukville airport to Sihanoukville pier?How long does it take? Would we manage catching ferry at 3pm to get to the Koh Rong Sanloem ( Saracan Bay) ? And which ferry company is most reliable? Do all ferries have toilets on the board? If you book a taxi, the trip will take about 30 minutes. If you go for the shuttle option it will take more, depending on how long you have to wait for the next shuttle bus, a tuk tuk etc. In general though, it shouldn’t take you more than an hour to get from the airport to the pier. Not all of the ferries have toilets on board (e.g. Buva Sea does not), however the journey from the pier to Koh Rong Samloem is about 40 minutes. If you really want a ferry with a toilet, perhaps Speed Ferry Cambodia is a good option. I have purchased my ferry ticket online directly from Buva Sea 2 weeks ago. Only realised I have chosen the wrong timing after ticket confirmed. I have tried every means – modify from their site, email to them, call or even sms to reach out to them to get my timing change. However, none of those works. Can anyone advise how can I get this solved? The staff at Buva Sea can be very busy – there might be a delay in getting back to you. I want to visit koh rong on 21-23/11/2018. Is it the best time to visit there? Hello. Please take a look at 12go.asia – They should have a service you can book. Hello. I’m going to visit kohrong by motorbike. So how can I go to there with my motorbike from Sihanouk? Hi, how can we get to Koh Rong Samloem from Bangkok? czy można zarezerwować bilet na pociąg do/z Sihanoukville wcześniej? Masz może namiary na stronę? Czy jest problem z dostępnością biletów w kasach w sezonie (listopad)? You should be ok to buy them on the day however, if you go early to the station. What a very helpful site, thank you! We plan on staying on Koh Rong Samloem the last 5 nights of our two week trip in Cambodia in January. Our international flight to take us home leaves from Seam Reap ‪7.30pm‬. The plan is to take a boat from the island to Sihanoukville in the morning and catch a midday flight from there to Siem Reap. Is it too daredevil to stay on the island the last night? Should we rather relocate to Sihanoukville or Siem Reap the day before? How reliable are the boats and domestic flights in January? We will start our two weeks with five days in Siem Reap so we prefer to not spend more time there but rather as much time as possible on Koh Rong Samloem. 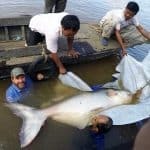 Hola, existe la posibilidad de llegar a Sihanoukville en barco desde Non Phen o Siem Reap? gracias! Your articles have been really helpful! I’m travelling to Cambodia in October and will be covering Phnom Penh, Sihanoukville, Koh Rong and Koh Rong Sanloem. Since I’m planning to backpack and travel on a budget, could you help me with the best hostels to stay at in these places? Would be of great help! Hello! 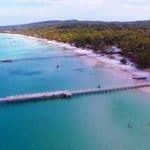 Whats the best and easiest way from Siem Reap / Phnom Penh Airport to Koh Rong? As i am planning to stay at Koh Rong instead. Volevo sapere, devo andare a Koh Rong Saloem. E’ Indispensabile sapere a quale spiaggia attraccare in base all’hotel? Hello. Yes it can matter if you are not staying on Saracen Bay. What is the name of your hotel? I just want to ask how often the boats stop running due to the weather conditions? I heard that during the rainy season they are not running at all. Is it possible for you to give me any info about this? Hi Bunna, it really depends on the weather on the day, but even in rainy season the rain can stop for several hours at a time, during which some boats do go. 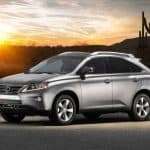 Does anyone know how I can find a reliable and reasonably priced private car from Sihanoukville to Phnom Penh airport? Hello. 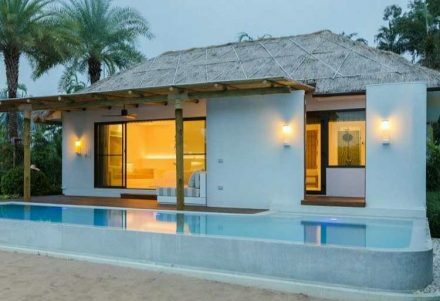 We have been meaning to write an article about best places to stay in Sihanoukville… If you don’t mind paying more, Sokha Resort is great: https://www.booking.com/hotel/kh/sokha-beach-resort.en-gb.html?aid=885343. Independence Hotel is really nice too: https://www.booking.com/hotel/kh/independence.en-gb.html?aid=885343. selam arkadaşlar bem emekli biriyim koh rong adasını ziyaret etmek istiyorum benim normal şartlarda adada bir aylık harcamam kaç amerikan doları olur bilği veririseniz memnun olurum saygılar. Hello. It would really depend on what you would like to see and do. Perhaps send us more details to info@www.visitkohrong.com and we can reply then. Eine wirklich tolle Website haben sie wo ich mir schon viele Infos holen konnte. Vielen Dank:). Ich hab da mal eine Frage und ich hoffe sie können uns weiterhelfen. Ich hoffe sie können uns helfen. Danke schon einmal im Voraus. Hello. It usually takes about 30 minutes or so to get out of the airport. It will then take another 30 minutes or so to get to the pier by taxi from the airport. So you might be OK for time, but if there are any delays it might be very close. A private transfer will cost quite a bit yes, but also it will be getting dark at this point, so you might struggle to find anyone that will take you. Hope that helps! make it? Thanks in advance for your inputs. I think you will be leaving it a bit too tight. If all goes well you should arrive to the airport about 1 hour before departure, which is pretty much the recommended bare minimum. But if the ferry is delayed at all for whatever reason you might well end up missing the flight with such a tight time frame. Perhaps you should consider taking the last ferry back to Sihanoukville the night before and leave yourself more time for the trip to the airport in the morning. Hi there! We’re travelling to Koh Rong from the 30th of Dec to 3rd of January. We’re staying on Long Set Beach, but I can’t see where to pre-book the ferry with Buva Sea? It doesn’t list Long Set Beach as a destination on the booking engine. Will we be able to buy tickets on the day instead? Hi Emma, we’re not sure why you can’t book tickets to Longset Beach – we’ll take a look. In the meantime try https://www.camboticket.com/ – let us know if this works. Hi, I’m currently on Koh Rong and have a boat booked to Koh Rong Samloem in the morning, I’m trying to find a hostel to stay on but most say they’re a few miles from the centre. Do you have to get a separate boat and if so do you know how much? 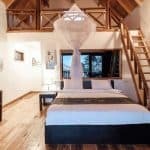 Don’t pay too much attention to the descriptions on booking.com TripAdvisor etc – they are usually very misleading (these websites tend to just use templates because many resorts on the islands don’t provide their own descriptions). When you get off the boat there are resorts all across Saracen Bay, including immediately in front of you. There are also resorts on other parts of Samloem (e.g. M’Pai Bay, Sunset Beach, Lazy Beach). Your ferry might stop at M’Pai Bay first (small fishing village with lots of hostels), but to get to other areas of Samloem you’d need to get a separate connection. Hi! I booked a flight from Bayon airlines that leaves Sihanoukville at 18:10 and should arrive Phnom Penh at 18:45. Are they usually on time? because I cannot miss the international flight home which departs at 22:50.
ha! I just knew this would happen. So, my flight lands in Sihanoukville at 17:45 and the last ferry appears to be at 17h. This means I will not make it, unfortunately. Is there an alternative or am I stuck at Sihanoukville for the night? We are going to stay at Lazy Beach on Koh Rong Sa mloem and from there we are taking a flight from Sihnoukville to Siem Reap. do you think we can make a midday flight from Sihounakville leaving from the island in the morning? Hello. Yes you will be able to make it if you take an early ferry back from Koh Rong Samloem. Buva Sea (7am and 9am) and GTVC (8.30am). It will take you about an hour walking from Lazy Beach to the pier so you will need to get up early! Anyone knows how can i go from the Airport to the Pier? i have checked the taxis but is expensive. Hello. There should be buses (roughly $4) at the airport. You can also always try to organise a shared taxi when you’re there. Let us know if you have any other questions! For the taxi ride from Phnom Phen, about how much does that cost? and then what about if we did the shared taxi? Hello Visit Koh Rong! I just wanted to give you a big thanks for helping us plan our holiday – it went without a hitch thanks to your article! One more question, for the Speed Ferry Cambodia ticket, can we buy it at the Jetty terminal pier at Serendipity? I notice from their website to get the ticket from their downtown office at Golden Lions Roundabout which is a distance from the jetty terminal. Yes you can buy your ferry tickets at the Serendipity pier (for all ferry services). The Golden Lions is actually not too far from the pier (about a 7 minute walk), but Speed Ferry only require you to PICK UP tickets at their head office, i.e. if you have bought them in advance. How do we get to Serendipity Pier from the Airport? Are there buses, or shuttle or shared taxis? I understand that taxis are expensive. There will be taxis (roughly $25) and buses (roughly $4) at the airport. You can always try to organise a shared taxi when you’re there. We can also help you to organise a car-style Tuk Tuk to pick you up on the day ($20). I did not know that about slow boats thank you!! No problem – Happy to help! Great article, sharing the new routes is excellent, much better than those pesky nightbuses! 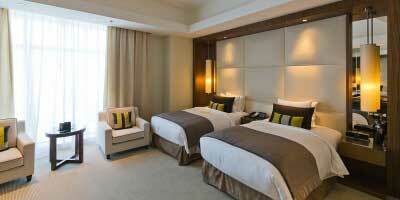 There have been some cool advances in this part of the world recently which enhance the travelling experience. In M’PaiBay there has been some development too. MPB – Originally a Khmai Fishing Village situated in the North of KRS, now caters for budget travellers, with more than 20 businesses including dorms, private rooms, bungalows & restaurants right on the jungle edge overlooking the water. Thank you for the update – We are in the process of editing our section on ‘How to get to M’Pai Bay’ so we will add this useful information! Hello – Cn you tel me more about the train times please? Hi Tom – We’ve just updated the article and have included the up-to-date train times. Hope that helps! Really looking forward to our trip. Thank you very much for all the comprehensive information we got from your site. No problem. We hope you enjoy your trip!